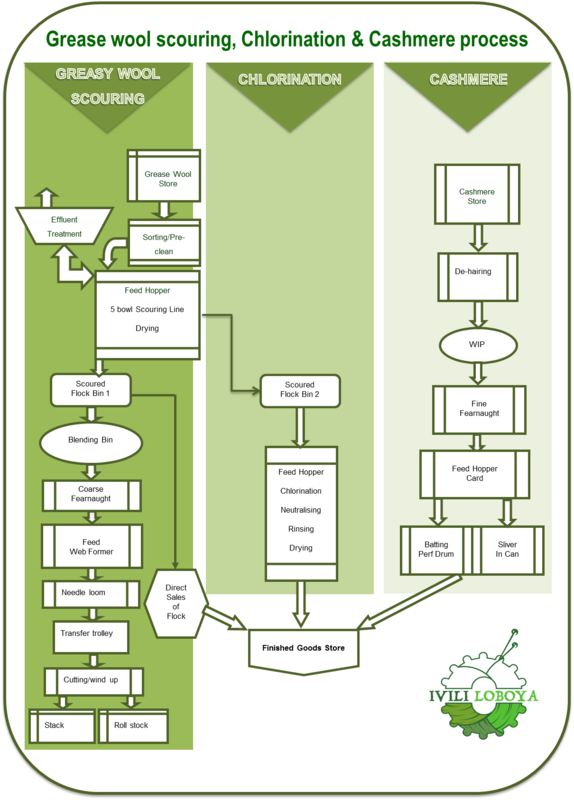 low quality wool processing for insulation. Commercialization follows intensive research and incubation (see Ivili Insulation). 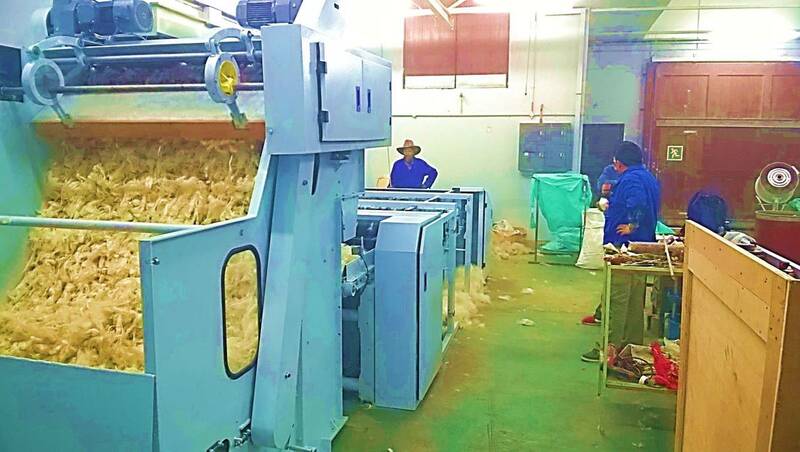 This creates immense opportunities for communal farmers through the use of needle punch machinery to deliver quality, energy-saving fibre insulation. Knitters, stitching machines and weavers for finished fabrics. Contact Ivili Loboya for your Fibre Processing needs – from Grease Wool scouring and Chlorination right through to Cashmere Processing. We offer the opportunity for local value-addition, instead of purchasing these services outside of South Africa.